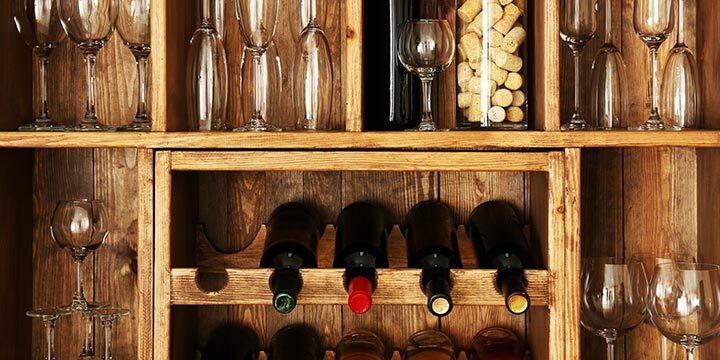 What’s Wrong with Storing Wine a Basement? Why a Wine Cellar Cooler? Unless you inherited the fortune and mansion of a wine baron, chances are you don’t have sprawling wine cellars or wine rooms empty and waiting for you to fill them with bottles upon bottles of delicious wine. What you might have, however, is a basement. Merriam-Webster defines a basement as “the part of a building that is entirely or partly below ground,” but the American household has come to know it as many things. It might be where you keep your storage, putting boxes of ornaments, extra furniture, or a haunted doll collection down in the dark recesses where they’ll remain forgotten until you need them. Or, maybe it’s a more functional space: a rumpus room that also houses a washer and dryer and a water heater banging away in a distant corner. Either way, it’s probably windowless, cold, and more often than not, damp. While it might not seem like it at first, a basement is actually the perfect locale to convert into a wine cellar. 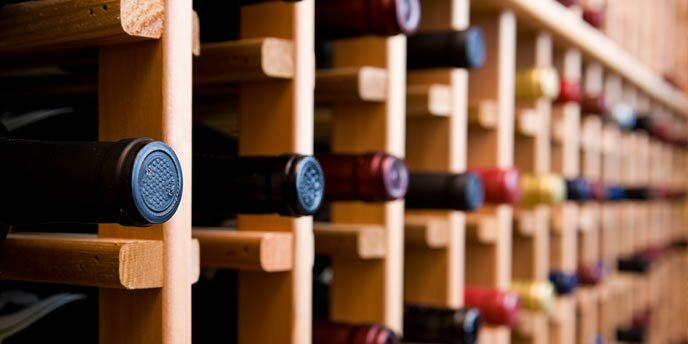 Read on for a brief guide on the ins and outs of wine cellar cooling. What’s Wrong with Storing Wine in a Basement? Basements aren’t always intended as full living spaces, and as such, can be lacking in regard to things like insulation. Drafty, unfinished basements lose heat quickly, and in winter months, can grow incredibly cold. Unfinished ceilings can mean exposed pipes, heating or chilling the space as nearby furnaces or water heaters create uneven heat, in addition to vibration. These are things that can upset wines, especially over long durations. If you’ve ever been in a basement, you know how uncomfortably moist it can get down there. Surrounded by damp earth, a basement space draws in all of that cold, uncomfortable moisture, leaving the space open to moldy and dank atmospheres. While these might be perfect conditions for other types of collections, your wine collection isn’t one of them. Too much moisture can ruin labels and corks, and eventually the wine, marring otherwise exquisite flavors that need to be carefully cultivated and protected. Not only this, but depending on the weather, interior air quality and moisture can change at the whim of the outdoors. Imagine storing a prized wine: each passing day, month, and year is another milestone on the road towards perfectly aged wine. Only, when you finally open it, all of that anticipation is for nothing: it turns out mold and damp have sunk into your wines, rendering them unpalatable and worthless. Much better to ensure proper storage carefully in advance, rather than find out that all of your patient waiting has been for naught. There’s a reason most people don’t heat their basements: they’re notoriously difficult and expensive to control. Things such as unfinished ceilings, stone walls, and poor insulation lead to temperatures that vary—and more often than not—move toward extremes depending on the weather outside. Basements are very good at amplifying and hanging onto cold, and never letting it go. Musty basements are an assault on the senses: their smells assail our very noses with each step down a basement stair. The worst part is that that musty smell can seep into things stored in a basement space. Whenever you take a sweater out of a long-closed closet for winter clothing, that stuffy smell inhabits all crevices of the fabric. The same is true of a porous couch or chair left in a basement, and you’d better believe that the same is true of a delicate wine. Cracks can have as big an impact on a basement as they can on a house above. Cracks in walls and floors make temperatures even more difficult to control, and are an open wound in structural security. Pests and water can make their way in through these small fractures, exposing wine within to more moisture or potential infestations of vino-seeking ants. If your basement is already finished and insulated, chances are you’re ready to convert it into a wine cellar. And depending your location, the only thing missing might just be the wine racks and a cooling unit to keep it all at the right temperature and humidity. 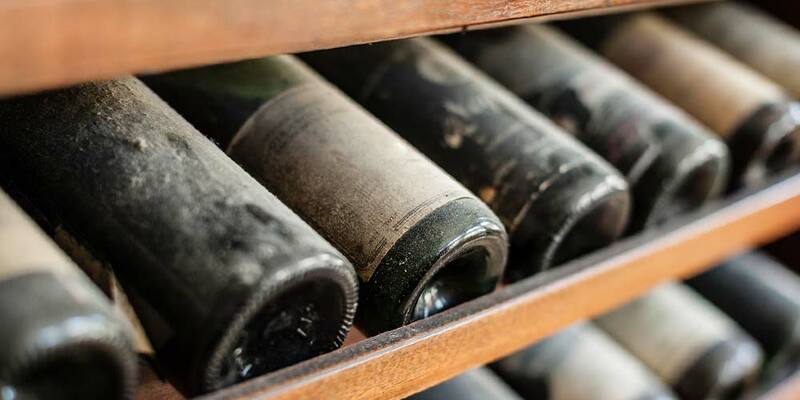 Let’s take a look at three top brands for wine cellar cooling so you can learn more about the company and products that are right for you and wine collection, no matter the space, size, or type. Isn’t a basement already pretty chilly? Why do I need a cooler? Simple though they may sound, wine cellar coolers actually fulfill an important task: to keep a temperature constant. Wine doesn’t just need to be kept in a cool place; it needs to be kept in a standard place, with static temperatures that don’t fluctuate. Wine needs to settle and rest, as it sleepily matures away from harsh temperatures, humidity, sunlight, and vibrations. Only then will it reach its true potential. Coolers take care of two of the main opponents of proper wine aging: temperature and humidity. Basements and cellars naturally protect bottles from harsh sunlight and—assuming there isn’t an express train running through your property—vibration. While basements are cool, their issue is that due to seasons, these temperatures can fluctuate. To our sensitive skin, a few degrees here or there might not seem like such a big deal, but wine is a delicate libation: too much fluctuation can affect the wine, especially over a course of several years. 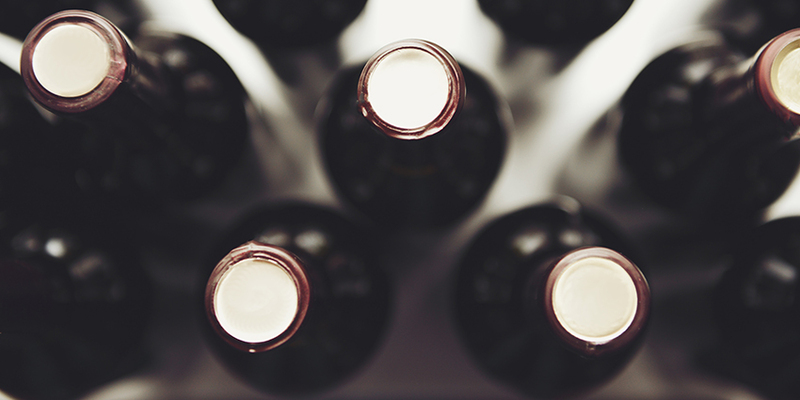 No matter what temperature you like to keep your wine at—most experts recommend a proper storage temperature off between 53 and 57 degrees, depending on the type—coolers can help keep them constant and aging properly. Wine Cellar Coolers are the careful, gentle machines that can live in your wine cellar and keep ambient environments not just at the perfect setting, but at a constant temperature, making sure that your wines don’t go through any unnecessary stress. Can’t an air-conditioner do the same thing? While air-conditioners are great for cooling us down—and look similar to their wine cellar cooler cousins—air conditioners are designed to lower temperatures rapidly by condensing and removing moisture from the air. After a night of sleeping with a window unit operating on full blast, it’s not uncommon to wake up to an overly dry climate. While tons of moisture isn’t great for wine, neither is total dryness. Dry air can make corks brittle and weak, affecting the very wine they are designed to protect. The gentle, slow cooling of a wine cellar cooler doesn’t rob a room of its humidity, leaving the air just perfect. By adding a wine cellar cooler to your wine storage, you can finish converting your space into the perfect place to let your delicate collection age and evolve into the delectable wine it was meant to be. Now that we know a little bit about the coolers themselves, let’s take a look at three of the companies who are making top of the line wine cellar coolers today. The story of Wine-Mate starts with another well-known wine storage company: Vinotemp. Vinotemp is known as one of the premier wine cellar producers, but after 20 years of cellar creation and curation, the company grew dissatisfied with the quality of cooling systems they were purchasing and installing. And so, in 1999, Vinotemp did the only thing that made sense: it began producing and manufacturing its own wine cellar coolers under the Wine-Mate label. Each cooler is manufactured in Wine-Mate’s California facility, where they test and utilize top-of-the-line compressors and coils to make sure that their products are of the highest quality. 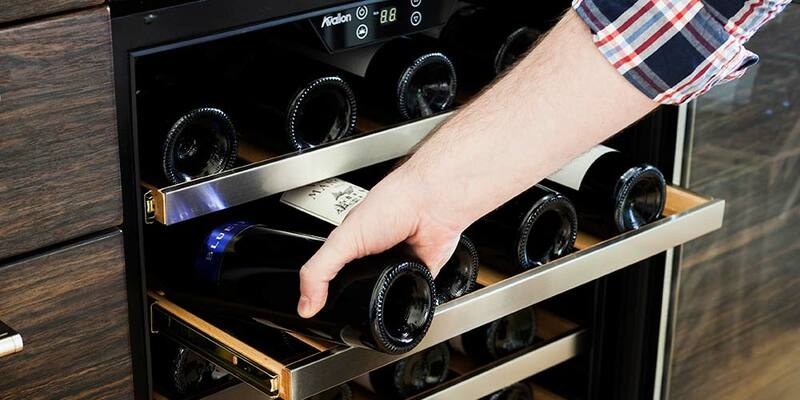 This ensures that wine cabinets, rooms, or walk-in vaults are perfectly chilled and filled with proper moisture levels so that their customer’s collections grow and mature properly. Additionally, Wine-Mate’s research and development department are constantly working to improve their technologies, ensuring that the company—and its products—stay at the forefront of wine-cellar-cooling solutions. At the center of CellarPro’s professional ethos is the drive to constantly improve upon their products. Unsatisfied with the cellar coolers of other companies, they decided to spend an entire year designing, building, and testing until they had created a better refrigeration system for personal and commercial wine storage cellars. Since then, they’ve graduated into a complete line of refrigeration systems, which they’re constantly upgrading and improving upon. Because of this, they report that they outperform competitors on temperature control, humidity control, consistency, and quietness. It makes sense: all of their coolers are manufactured, inspected, and bench-tested in their facilities in Petaluma, California. And once the coolers leave their California wine country homes, they arrive to customers with an extensive, five-year warranty that guarantees high-quality performance and high-quality cooling for delicate wine collections. Since 1985, Breezaire have been fastidiously improving and updating their products all the while maintaining and offering repairs on original units from their beginning of their 30-year lineage. Breezaire touches each and every component that goes into their products: every high-quality component is hand-assembled in production facilities based in the United States. After assembly, each component is also hand-tested to further ensure that the highest quality of manufacturing and control gets directly into the hands of the customer. Full-factory support and warranty coverage is offered to further back up Breezaire’s word and guarantee that wine cellars will stay at the perfect temperature and humidity. Their products boast a completely self-contained design: simply mount them in a wall and connect them to a standard 115 AC power source. No plumbing, complicated wiring, or special procedures are required for their units, which provide top-of-the-line vibration control, temperature adjustment, and automatic humidity control. There are a lot different types of cellar cooling units though, and they all have specific areas they excel in. It’s important to know what type of cellar cooling unit will properly cool and humidifier your storage area. 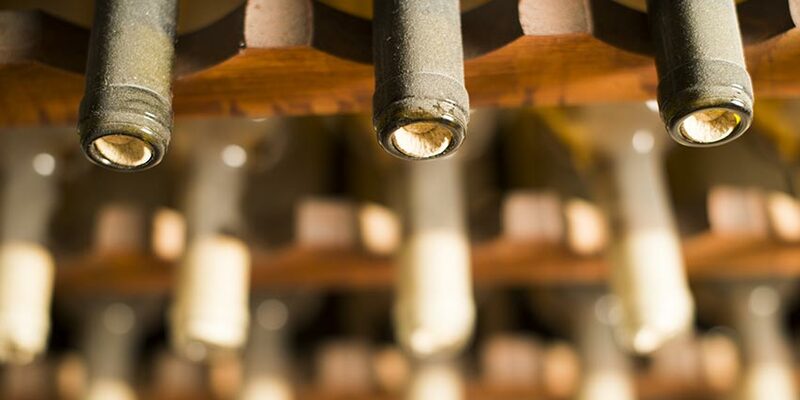 Keeping up with the terminology and vernacular of the wine cellar cooling world won’t just help ensure your collection is properly and efficiently stored, but it will also help expand your appreciation of wine in general. Take a moment to learn and understand these terms. Even if you’ve been storing wine for years, brushing up on the language can only help you and your collection. Air Filters: Any sort of air conditioning unit is going to utilize air filters that will need to be replaced every now and again. These are used to help dust and debris from clogging up your cooling unit. Air filters for cellar cooling units are especially important since they’re a part of a cooling system that is operating in an area that may not get clean and dusted regularly. Bottle Probe: Some wine cellar cooling units offer temperature indication through bottle probes. Bottle probes read the internal temperature of actual liquid in a wine bottle. This way you get a fairly accurate reading of the temperature of all the other wine bottles in your cellar. Since liquid temperature fluctuates at a lower rate than air, a cellar cooler with a bottle probe allows your unit to perform at maximum efficiency. BTU: This stands for British thermal unit and represents the amount of energy needed to raise a pound of water by one degree Fahrenheit. The power of wine cellar cooling units is frequently measured in BTUs. Cubic Feet: Also abbreviated as cu. ft., a cubic foot represents the standard, non-metric unit of volume. The amount of space any given wine cellar cooling unit can comfortable cool is measure in cubit feet. Decibel: A unit used to essentially express how loud something gets. Knowing the decibel output of your cooling center is important for a couple of different reasons. One, loud noises cause vibrations which can cause damage to your collection both in the short and long term. Also, a quiet unit is just nicer to have around, as you don’t have to worry about any loud whirring and humming. Defrost Cycle: The defrost cycle is pretty important in cellar cooling unit. It involves heating the main cooling element of the unit, the evaporator coil. The coil is heated up temporarily in order to melt the frost that has formed around it. Defrosting cycles are generally put on some sort of timer and will kick-in depending on how long the compressor has been operating. Ducted System: These systems use a compressor, which works towards air-intake, a heat-exhaust vent, and various ducts that lead to vents along the wall. This system is the easier to hide, and is good for a collector that doesn’t want any kind of cooling system visible in their cellar. Excelling in cooling large commercial spaces or several rooms in a house, ducted systems are generally used when a powerful central unit is needed. These types of systems are most typically used by wine enthusiast who have large, fully stocked cellars. Ducted systems are also popular for people with storage units that aren’t underground, which means they lose the natural advantage of maintaining a cooler temperature just by being below the earth. Ductless Split Cooling: Ductless systems, also called mini-split systems, will cool single rooms or can be used to cool a few different spaces. These mini-split systems great because they offer a certain range of flexibility since they can be employed a number different ways. They definitely excel in air conditioning smaller rooms and zones. So, depending on the size of your cellar, a mini-split system could be perfect. A mini-split system gets its name due to its installation and how it operates. Just like normal, centralized cooling systems, a mini-split has two main parts: the outdoor compressor/condenser and an indoor piece that moves the air through the space. Unlike a centralized unit though, a mini-split system doesn’t lose energy through having to push air across long duct systems. They’re also easier to install than your typical centralized ducted system. Electronic Thermostat: This acts as display and control center for your cooling unit. Today, nearly all wine cellar cooling units will come equipped with electronic digital thermostats. Newer units will even sport touch screen controls, and many are programmable as well. Thermostats that are programmable can be especially useful because they lead towards energy efficiency and savings on your electric bill. For a wine enthusiast a programmable electric thermostat helps towards making the maintenance and upkeep of your cellar easier than ever. Evaporator Coil: An important part of the wine cellar cooling unit, the evaporator turns the liquid coolant (think Freon and the like) into a cold vapor form. Humidity: Humidity is the term used to measure the amount of water vapor in the air. This is an important value to keep an eye on because humidity has a long-term effect on the corks lifespan. Well maintained humidity leads to longer cork life and better preserved wines. LCD/LED Display: These are two types of display screens most commonly featured on wine cellar cooling units. LCD stands for liquid-crystal display. Liquid crystals will not actually emit light directly and therefore are very energy efficient. LED stands for light-emitting diode, and is actually even more efficient than LCD screens. Unlike the LCD screens, LED can provide soft illumination. Self-Contained: Self-contained or through-the-wall wine cellar cooling units are fairly self-explanatory. They don’t utilize ducts like the centralized units, nor do they use a refrigeration lines like ductless systems. They’re actually pretty similar to window a/c units, only they’re more powerful and suited towards cooling a larger space. 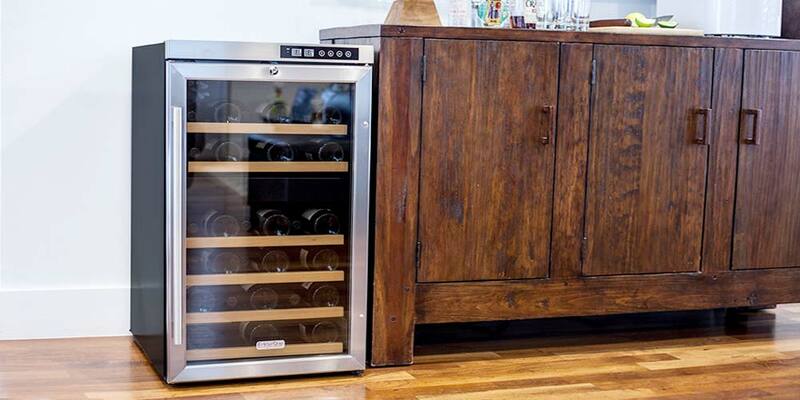 You can find self-contained units that will cool spaces anywhere from 500 to 1,000 cu ft.
With these tips and terms, you’ll be well on your way towards turning a cold, damp basement into a warm, temperate and controllable space for your wine. Though the task might seem daunting, it really is as simple as renovating or sprucing up a space that might not be used that much as it stands, and turning it into a wine-lover’s dream. Paul King is a writer and content specialist working in the tech industry. His face has a beard--and glasses. Is it possible to cool the underside of a porch which is separate but joined by a common concrete wall used as a fruit/storage area so it can be turned into a wine cellar? What can be used for one 4′ by 20′ by 7′ high?